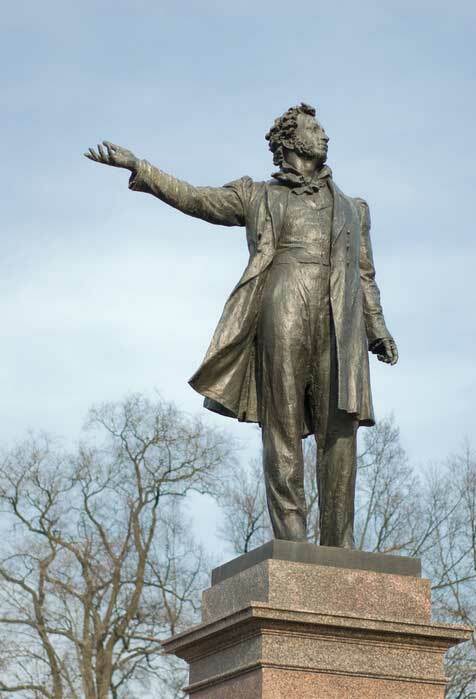 Interesting facts: There are many monuments to Alexander Pushkin all over the world, but the most beautiful of them are two: the first one is situated on Pushkin Square in Moscow, and the second one is here, on the Square of Arts in St. Petersburg. The sculptor of the monument in Moscow is Opekushin, in St/ Petersburg – Anikushin. Despite the fact that the sculptors have such similar names, they lived at different times, different cities and had no family relations at all.